What did Brent Wilksch do before joining TV Magic? 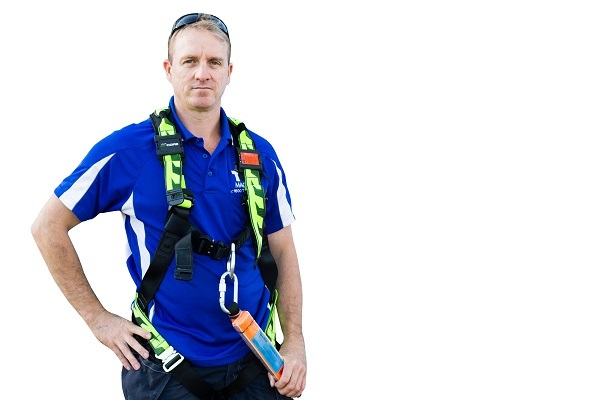 Brenton Wilksch is an ex oil rigger - now an experienced and qualified TV antenna installer and home theatre installation expert on the Sunshine Coast. Residing near Caloundra, Brent and his team cover all of the Sunshine Coast right up to Gympie; down to Caboolture and everywhere in between. You can be confident in knowing that if you have TV reception problems, need a TV mounted on the wall, a media room designed or installed or simply TV tuning - Brent will be able to achieved the desired results you seek without any fuss. Call Brent today on 0476 781 111. Being an ex oil rigger, Brent Wilksch is also an advocate of safety and takes safety very seriously - as does the rest of the TV Magic team. Safety is paramount for our technicians as well as for the customer. The Sunshine coast is booming with old rusty, fallen TV antennas and people putting up with dodgy TV reception. Brent makes it his business to change the way Sunshine Coast residents watch and experience home theatre/television - one house hold at a time. Part of a good antenna system reception repair is ensuring high quality parts are used as well as correct installation techniques. This means that a reception repair / antenna installation job carried out will pass the test of time. 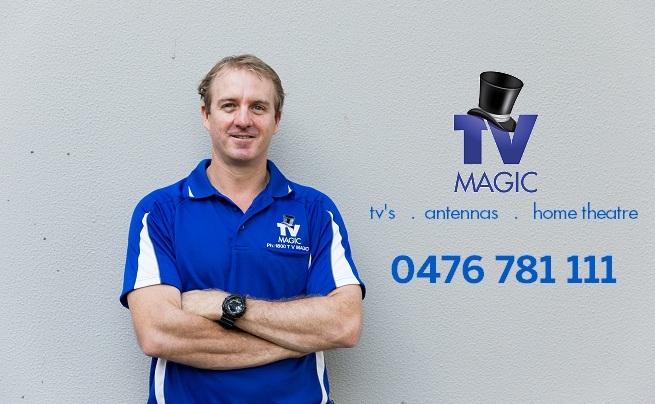 At TV Magic - for our Sunshine Coast TV reception repair customers - our standards are 10-15 years! Whilst some of the competition aim to fix the antenna/reception for 2-5 years, we find our standards and th results we achieve are much higher. What were you doing before TV Magic? "I was all kinds of things! I've worked in logistics, with oil and gas, as a scaffolder and fisherman!" Tell us something that not many people know about you. "My partner and I have a new Bull Arab puppy called Murphy. We treat him like he's a new born (laughs). We also love going out for dinner and heading to the beach for a bike ride or a surf on the weekend"
What is your favourite job to do? "Definitely wall mounting. It's so great to see how excited the customers are after you've hung the TV on their wall. They're basically doing back flips!" Your favourite experience with a customer? "Recently, I had a job where a customer wanted a soundbar with a Bluetooth sub woofer integrated. The customer had Motor Neuron disease and had been bound to his wheelchair for two years. It was shocking to see. He had a 65'' TV which had been wall mounted by another company. They had told him that they had wall mounted it on an angle to stop the glare. However this meant that the customer couldn't see the screen properly. When I had a closer look, I could see that they just hadn't done the job the right way because the points were in difficult spots to work with. I took the extra time, re-wall mounted his TV and committed to a more difficult job for the benefit of the customer. We got the sound system working just how he liked it too." Describe your average working day in three words... "Busy but rewarding!" 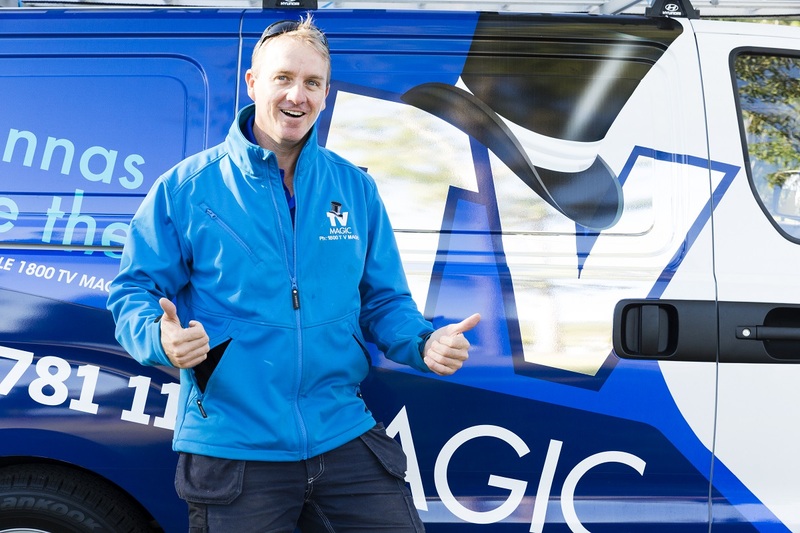 Do you live on the Sunshine Coast and require a reliable TV technician for your residence or business? Call Brent on 0476 781 111 today!